When you or your partner would like to conceive a child, nutrition is key to increasing your chances. Your physician may prescribe calcium or magnesium supplements for your daily diet, because these minerals influence fertility, both in men and women. Do not take calcium or magnesium to boost fertility without first consulting your health-care provider. The Baby Center parenting website reports that up to 40 percent of fertility problems originate with men, so eating right is critical combating conditions that can prevent conception. Calcium supplements may be a good idea for better fertility -- the Baby Center suggests taking 1,000 milligrams of calcium per day for this purpose. A study published in the November 2010 issue of the "National Journal of Andrology," a Chinese medical journal, indicates that a diet rich in calcium increases sperm motility, straight line velocity of sperm as well as sperm density, all of which can help improve your chances of conception. The same study notes that too much magnesium in your body can decrease sperm motility. Women need magnesium to keep bones strong, but this mineral also influences female fertility. Research featured in the February 2011 issue of the journal "Reproductive Toxicology" looked at the blood work of 99 women who stopped using contraception in order to become pregnant. Those who had more magnesium in their diets had a 51.5 percent higher probability of getting pregnant. Calcium may also prove useful -- the What To Expect website notes that calcium is thought to reduce your risk of ovulatory infertility. For best fertility, all adults should ensure an adequate intake of calcium and magnesium. Adults of reproductive age require 1,000 milligrams of calcium per day. Take calcium supplements in small doses throughout the day. If you are a woman, you need 310 to 360 milligrams of magnesium daily, but men should consume a bit more -- 400 to 410 milligrams. Taking a B vitamin with a magnesium supplement helps your body properly use the magnesium. While calcium and magnesium supplements may improve your fertility, exercise caution if you have certain medical conditions. If you have heart or kidney disease, taking magnesium supplements can be hard on your kidneys. 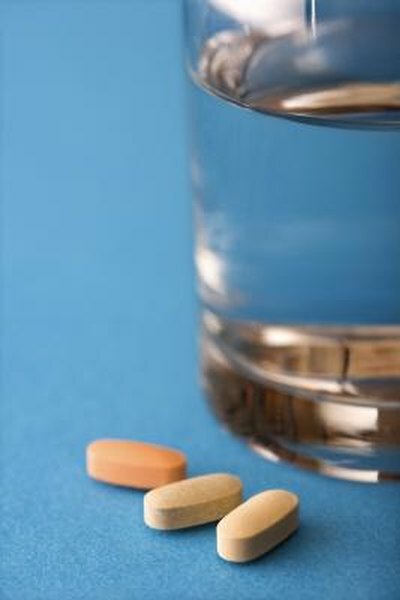 People who suffer from hyperparathyroidism or have a history of kidney stones should avoid calcium supplements. Also note that magnesium and calcium compete with each other for absorption in your body, so make sure your calcium intake is adequate if you only take a magnesium supplement. National Journal of Andrology; Correlation of the Contents of Trace Elements in Male Body Fluids With Sperm Quality; R.S. Zhang, et al. Reproductive Toxicology; Associations Between Blood Metals and Fecundity Among Women Residing in New York State; M.S. Bloom, et al.